When you get a chance today, take a minute to enjoy today’s ‘Google doodle’ on the Google home page. It is so much fun and the best one I have ever seen!! In honour of the 78th birthday of music pioneeer and inventor Robert Moog, it features a working synthesiser that can be played with mouse or keyboard. 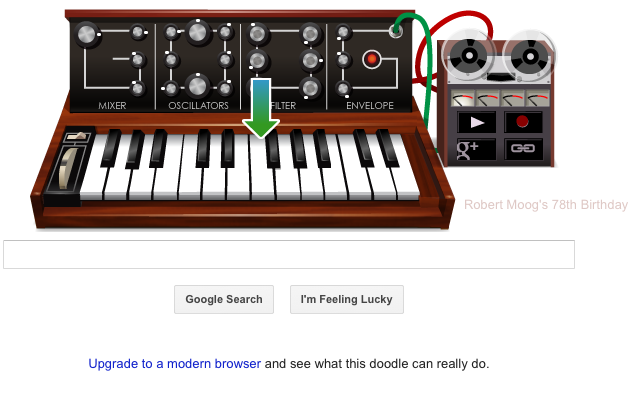 This entry was posted in All things Music and tagged fun, google doodle, homepage, music, play, robert moog, synthesiser. Bookmark the permalink.